Design work on this two‑seat biplane was begun by Hanriot and Dupont in the autumn of 1917. 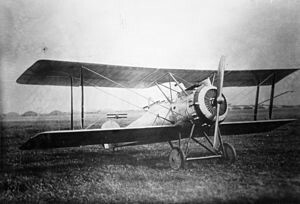 The prototype had unequal‑span wings and was powered by a 260‑hp Salmson (Canton‑Unnne) 9 Za radial engine and flew in June 1017. A double‑yoked pair of 0.303‑in (7.7­mm) Lewis guns were fitted in a ring mount­ing in the rear cockpit. A production order for 120 (later increased to 300 when it was also ordered for the Aviation maritime), to be desig­nated HD.3 C2, was placed in April 1918. 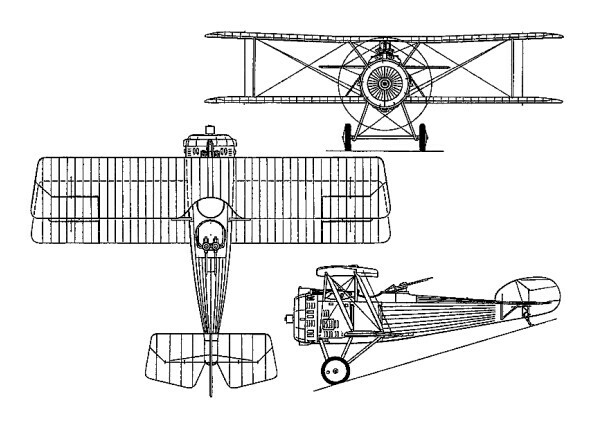 Main modifications included reduction of the upper‑wing span to that of the lower dimension, adoption of horn‑balanced ailerons, and improved covering for the forward top decking panels. These were faired over the ammunition feed equipment to twin‑and fixed and synchronized‑0.303‑in (7.7‑mm) Vickers guns. The pilot and gunner sat in tandem, open cockpits and the main units of the fixed tailskid undercarriage were linked by a cross-axle. Short struts braced the fuselage sides to the lower wing. First production machines appeared in September 1918, but the Armistice in November prevented comparison with the combat promise shown by the HD.3 C2. However, 75 had been built (s/n 1001 to 1075) for the Esc. HD 174 and other squadrons of the Aviation Militaire (army aviation) and at least 15 for the Aviation Maritime (naval aviation) before the Armistice halted production. HD 174 had been formed but never saw any action before the end. A floatplane, to have been designated HD.4 in production form, was developed with varying types of floats and hydrovanes and a larger tailfin during 1918. The first really successful mode did not appear until December 4, 1918. By this time it was too late for combat service but some were used by the Aviation Maritime for a few years. Work on a proposed night fighter variant, the HD.3bis CN2, also stop­ped at the end of the war. This had mainplanes of thicker section, enlarged and balanced ailerons and rudder. After the war, one of the navy's machines was used for trials aboard the new aircraft carrier Béarn, while another was used for floatation tests at the Isle of Grain. 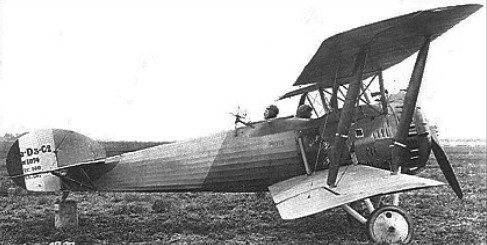 The 15 used by l'Aviation Maritime never entered service until 1919. They have variously been quoted as having serials starting from 2000 and up, but according to Lucien Morareau they were from the same series quoted above. The serial 2000 has also been quoted as the sole HD.4 prototype even though a photo clearly shows HD.3C2 on the tail. Few aircraft were completed in this serial range, highest number known is 2003.